The unit is made of shaped plate panels properly painted. The filtering sleeves are made of a special tissue of very high quality to resist at high temperatures. These sleeves are inserted into galvanized metallic boxes for increasing the life and the resistance. 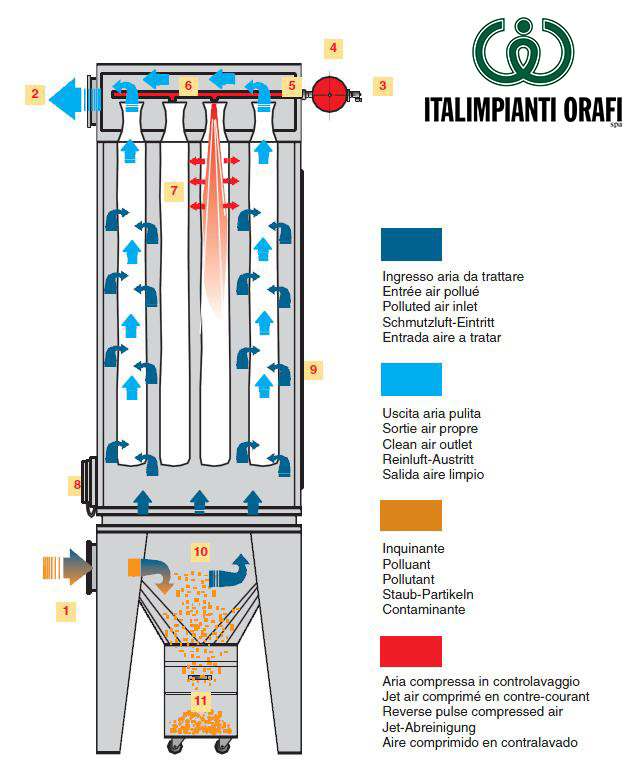 The dust contained in the air is sucked and by means of a system strongly reducing the speed it is precipitated inside a collecting tank and subsequently transferred at the filtering sleeves so that the impurities remain inside the filters and outside you get clean air. During the working cycle the filtering unit is kept always in perfect efficiency thanks to a cyclical counter-current cleaning system. Compressed air is used inside sleeves to shake them and pick up dust in the collecting tank placed under filter bags. 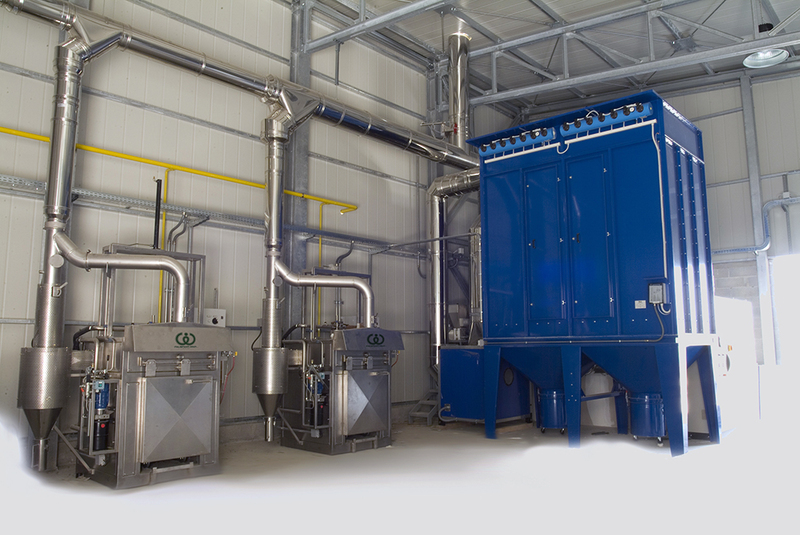 Cleaning operation is completely automated, filter bags have a collector for compressed air and a timer in control panel to program maintenance phases.